06 December 2018 (Toronto, ON) - Deutsche Grammophon is marking the 120th anniversary of its company foundation on December 6, 1898 with a carefully curated global programme of DG120 live concerts, special events, record releases and much more. The world’s oldest and best-known classical label will use its anniversary year to continue building a lasting legacy. The company’s unprecedented DG120 programme has been designed to reach existing fans worldwide, attract new followers in Asia and beyond, and share its peerless catalogue with as many people as possible. It has already attracted new audiences in search of great recordings and performances, as well as garnering extensive international media coverage. 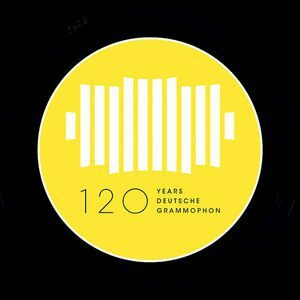 Innovative thinking led to the creation of Deutsche Grammophon exactly 120 years ago. The company was founded on December 6, 1898 by Emile Berliner, the American-based German inventor of the gramophone, and soon became synonymous with excellence in recorded music. The company’s remarkable history is brought to life in State of the Art, a richly illustrated book published in a brand-new edition on December 7, 2018. DG120 – The Tokyo Concert, with Anne-Sophie Mutter, the Saito Kinen Orchestra, Diego Matheuz and Seiji Ozawa (December 5).